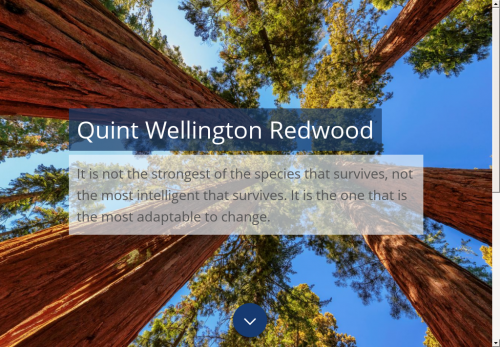 Quint Wellington Redwood (Quint) focuses on two major changes taking place in the world: digital transformation and the increasing need for sustainability. Technology is one of the driving forces of change. Many organizations have difficulty in keeping pace with today’s rapid successive developments and applying them successfully. They wonder if they are flexible enough to implement change and whether they will still be a player in a few years’ time. We see that organizations have to make fundamental choices about business models, management and technology under this pressure. We believe that organizations cannot continue to survive without using technology effectively nor without taking into account their customers, employees and environment. Therefore, in our vision, it is not only technology that is a deciding factor: the knowledge, leadership and culture that are prerequisites for organizations to recognize relevant technology and apply it to provide value to their organization and environment are even more important. Quint supports organizations in their digital transformation. Together with our clients, we build roadmaps that facilitate fast and effective change, anticipating or responding to opportunities and threats. We bring technology – and especially its application – to life.